Eco-neem is a registered organic insecticide for the control of a broad range of chewing and sucking insects including: caterpillars, curl grubs, grasshoppers (wingless), aphids, mites, lawn armyworm, citrus leafminer, whitefly, mealybugs and fungus gnats in soil. It will also control sooty mould. Made from extracts of the neem tree (Azadirachtin A & B) and mixed with other plant oils to enhance it’s stability and shelf-life. eco-neem works in multiple ways with the two main actions being suppression of insect appetite (they starve to death) and restricting growth (unable to moult successfully). Plant damage stops as soon as the insect ingests eco-neem but insect death may take several days depending on their size and type. 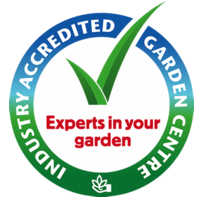 Currently approved in Australia for use on ornamental plants only but overseas it is approved for use on edible plants with no withholding period eg in New Zealand, Europe, UK, Japan and USA. eco-neem is safe for pets, birds, lizards and beneficial insects including bees. Avoid using around ponds and in aquaponics as it can be harmful to fish.